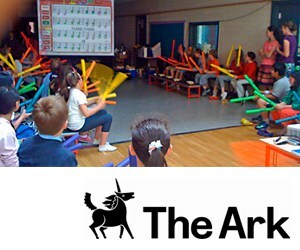 The Ark, a Trilogy customer, is a dedicated cultural centre for children established in 1995. The Ark creates opportunities for children, along with their families and friends or school, to discover and love art. Trilogy has been a corporate supporter of The Ark for many years and is delighted to renew its relationship for another. Trilogy Technologies’ support enables The Ark to identify and engage with children, families and schools and make them feel welcome. Support of these projects diversifies the audience by working to address social inequalities and overcome the barriers that prevent attendance, particularly for those who feel like the arts are “not for them”. The Ark commissions, produces and presents work for, by and about children from the ages of 2 to 12 in their home in Dublin’s Temple Bar, as well as off site or on tour in Ireland and abroad. Through the organisation’s work with leading Irish and international artists, children can enjoy performances in a child-sized theatre, view engaging exhibitions or participate in creative workshops. Support provides access to events at the centre to marginalised children in our society such as classes in city centre disadvantaged schools, The Ark Children’s Council and children living in direct provision. Social issues such as crime, homelessness and drug abuse pervade the communities of Dublin’s inner city and are a problem in The Ark’s local school areas. The children who benefit from Trilogy’s support traditionally do not access their services. The organisation’s outreach work provides a positive and uplifting element to these children’s lives by providing an opportunity for them to enjoy their childhoods by attending events at The Ark.